Flooding is the number one natural disaster in the U-S. But most people don't have adequate insurance to protect their home. 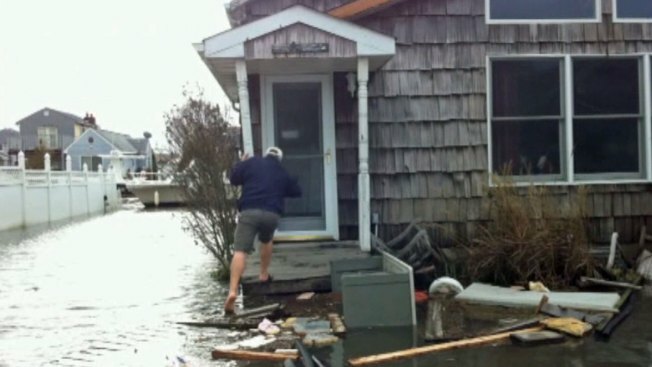 Consumer Reports survey found one out of three homes damaged by floods during last year's Hurricane Sandy were not covered, and those that were didn’t have enough coverage. Consumer Reports Money Adviser says there are many misconceptions about flood damage and insurance. Homeowners insurance doesn't cover flood damage for either your home or your belongings. For that you need special flood insurance. And Consumer Reports recommends coverage both for your home and its contents. But be aware that even with contents coverage, you'll get the value of your belongings when the flood hit, not what it will cost to buy everything new. If you're a homeowner, getting enough coverage for the structure itself is also really important. Consumer Reports' advice is to get as much coverage as you can. The website Floodsmart.gov can help you determine the amount of available coverage and the estimated cost. Most residential flood insurance comes through FEMA, so the terms and costs are standard. A warning: Just because you don’t live near a body of water doesn't mean you don’t need flood insurance. Heavy rains could cause flooding. In fact, 1 in 5 flood claims comes from an area that’s not considered high risk. Consumer Reports Money Adviser says one way to keep premiums down is to raise your deductibles. Another tip: Locating central air-conditioning units and other home systems above the flood line may also lower your rates.